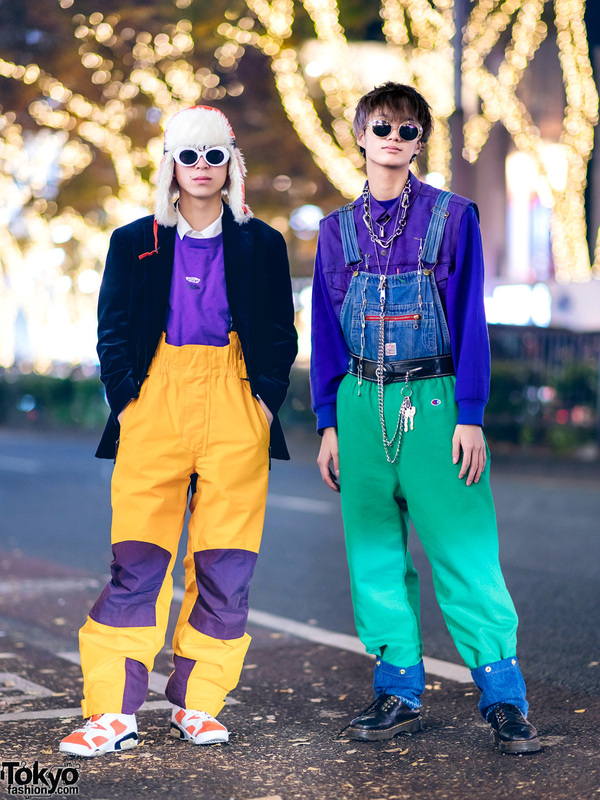 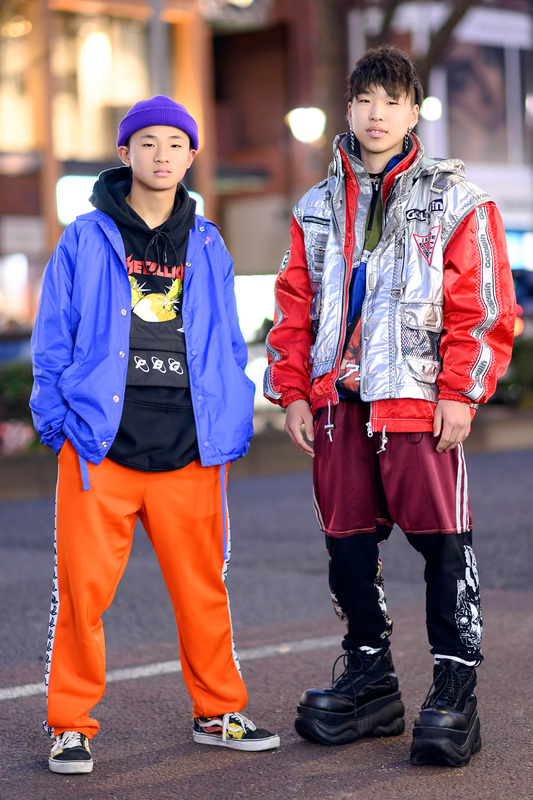 Japanese guys sporting colorful layered streetwear styles including sunglasses, denim, overalls, and Air Jordan sneakers. 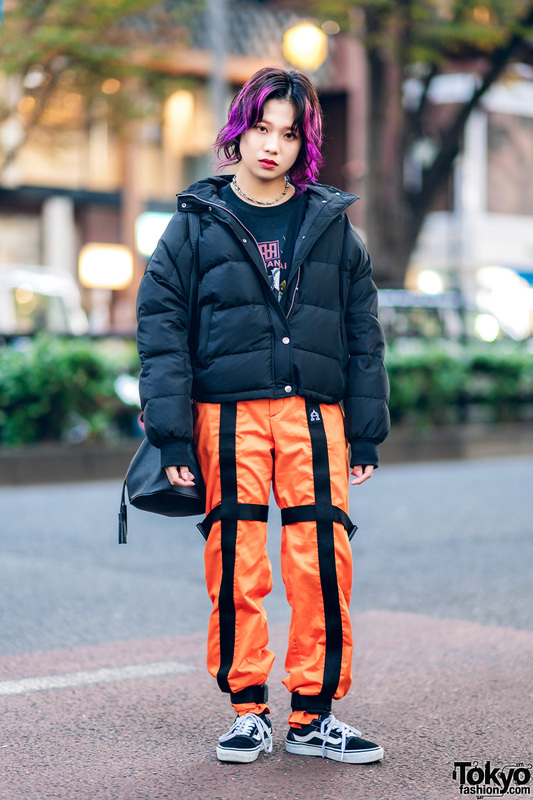 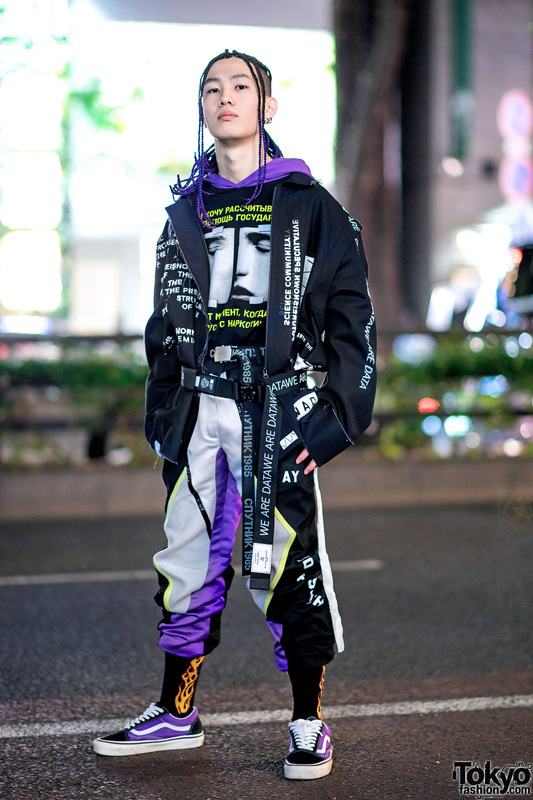 Harajuku girl with purple hair tips wearing a puffer jacket, strap pants, sneakers and a bucket sling bag. 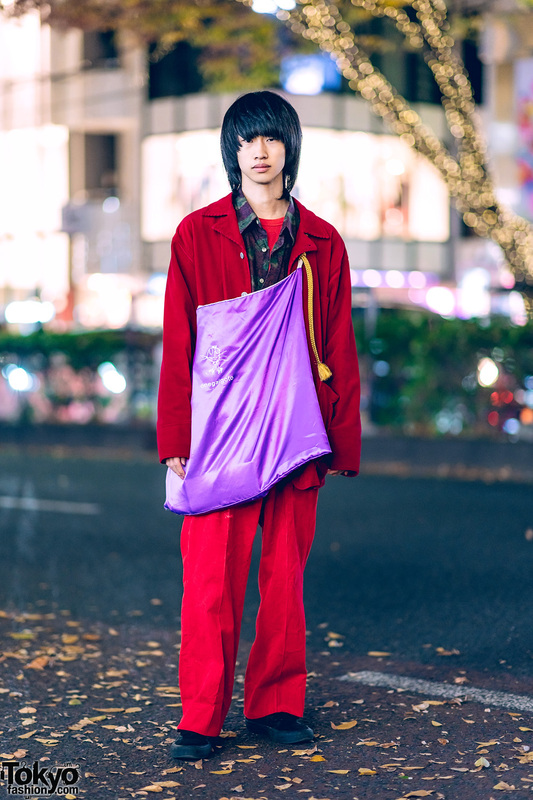 Japanese designer wearing layered vintage and antique fashion with gold glitter sneakers. 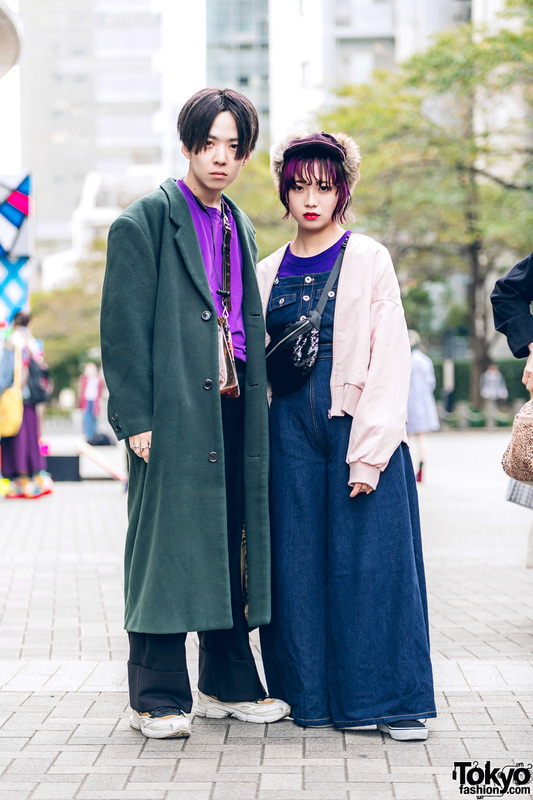 Japanese duo in casual streetwear styles with dark green coat, pastel jacket, denim overalls, sneakers and bags. 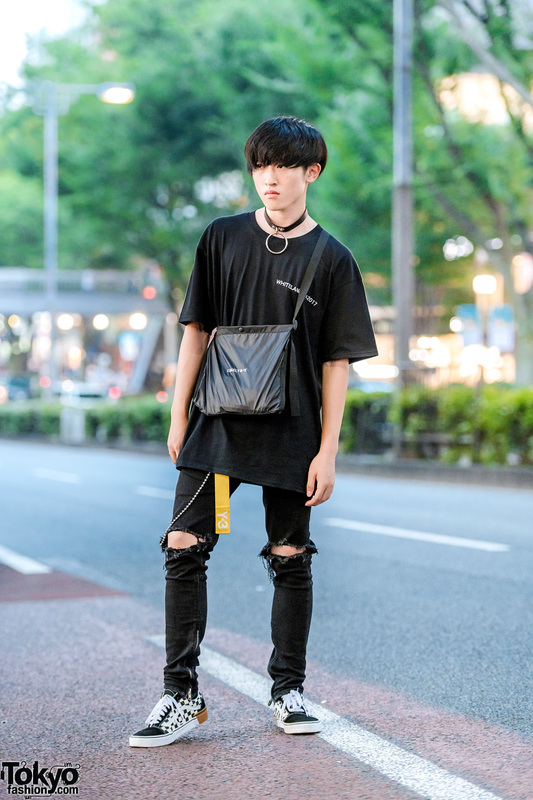 Harajuku guy in an all black ensemble with ripped jeans, checkerboard sneakers, a sling bag and an o-ring choker.